VIDEO – Today we’re going to define what a Master-Planned Community is, and what it means to your wallet. A master-planned community is a large-scale residential neighborhood containing recreational and commercial amenities. These may include sports facilities, golf courses, parks, swimming pools, shopping, restaurants, schools, and office space to name a few. 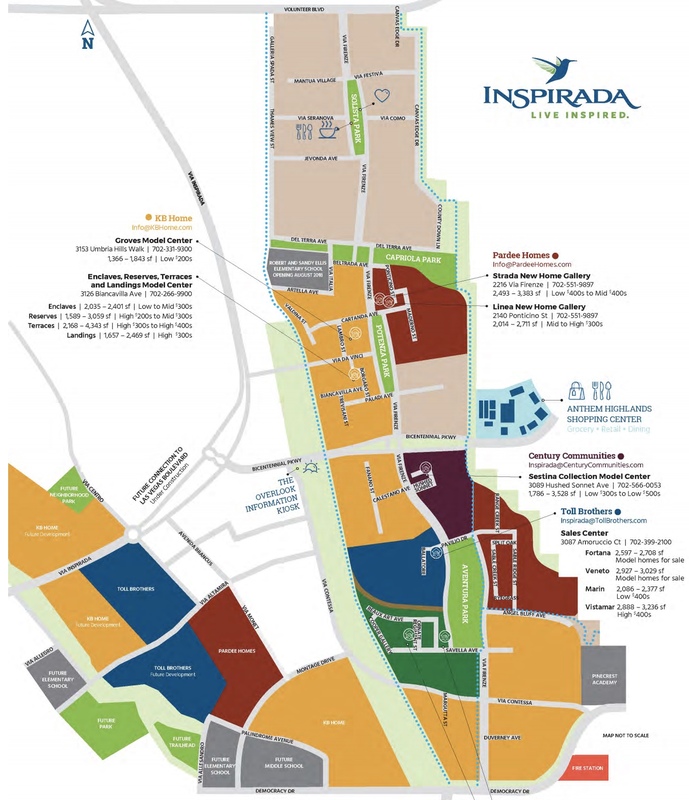 Pictured below is an image of a local Master-Planned community called Inspirada here in Henderson, Nevada… and you can see how well it was designed. The idea is that a master-planned community offers a mix of residential, businesses, and recreational space and usually makes use of great sidewalks and well-lit streets to encourage an excellent sense of community. Some specialized communities are referred to as “active adult” or “retirement communities” can even require that residents must be over the age of 55. Now, what does it mean to your wallet? With living in a master-planned community, typically you’ll have a “master homeowners association fee” just to live in that community. Often times, master planned communities can have several different home builders that construct neighborhoods within the master community, and those neighborhoods may have a secondary homeowners association fee, or even a third homeowners association fee. So yes, depending on the specific house you’re looking at, you could possibly have three separate homeowners association fees to pay. This is why it’s so important that as you look at homes, you factor in how much the homeowners association fees are, because that could completely change the budget of the home you’re looking for. The fees could amount to hundreds of dollars a month depending on the house. Also, on that same note of unexpected fees, check out my video on “What are SIDS and LIDS” for another potentially large fee to keep track of when shopping for homes.